The leading 100% vegan food brand, Violife, has been named Product of the Year in the prestigious US publication VegNews Veggie Food Awards 2017. The news is exciting for Violife since it has only recently entered the US market and plans to increase distribution in 2018, winning this award is a great start! All the products are plant-based and give the delicious texture and flavours associated with dairy without compromising on taste. VegNews was founded in 2004 and is the leading US consumer magazine on all things vegan; news, health information, recipes, global events and products. 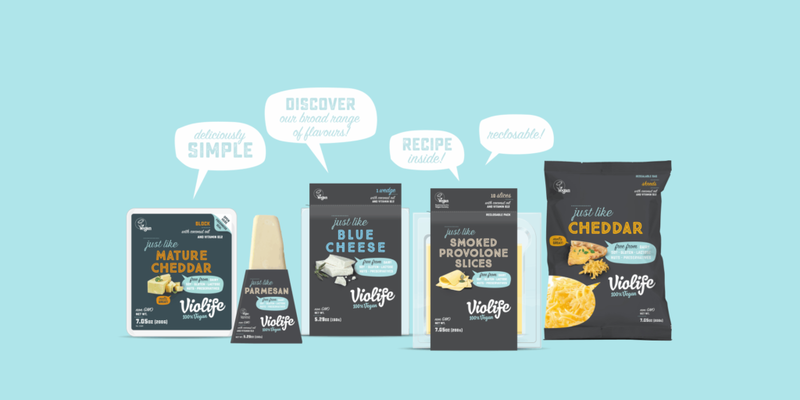 Violife has partnered with WisePies in the US, offering its vegan mozzarella-style product at all of its locations and will be expanding the offer in America further next year. More information on the range can be found at the Violife website and a list of stockists can be found here. All Violife’s plant-based foods are free from common allergens lactose and gluten as well as being soy and nut free with no GMO. This means that it’s not only vegans who can enjoy the range but people with intolerances’ or allergies or even coeliac disease. The vibrant new website that has gone live, hosts a range of recipes, tips on living a plant-based life and information on all the products, and where to find them. Violife is based in the beautiful surroundings of Thessalonica, Greece and is dedicated to making amazing tasting, 100% vegan, non-dairy, non-GMO, allergen free foods. It is a favourite brand for many Vegans, Vegetarians and Flexitarians.